South Africa, Sri Lanka (Ceylon), India, Brazil, Australia and the U.S..
Chatoyancy, appearing in these varieties of quartz, is caused by fibrous inclusions. 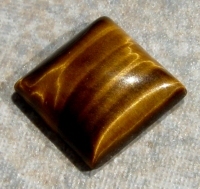 They are generally cut en cabochon, but is often cut into round pieces for necklaces and pendants. 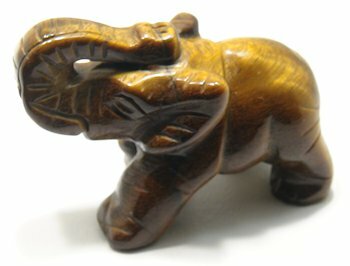 Tiger's-eye is also used for carvings, boxes, ashtrays and other similar pieces. 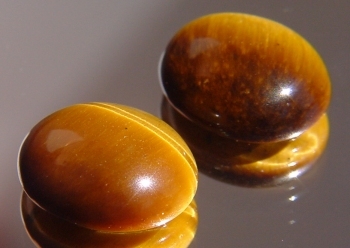 When the color is a greenish grey, they are called cat's-eye quartz. 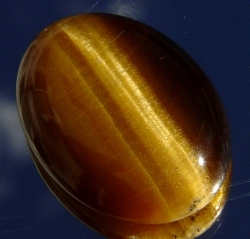 A golden yellow reflection on a brown stone is called tiger's-eye. 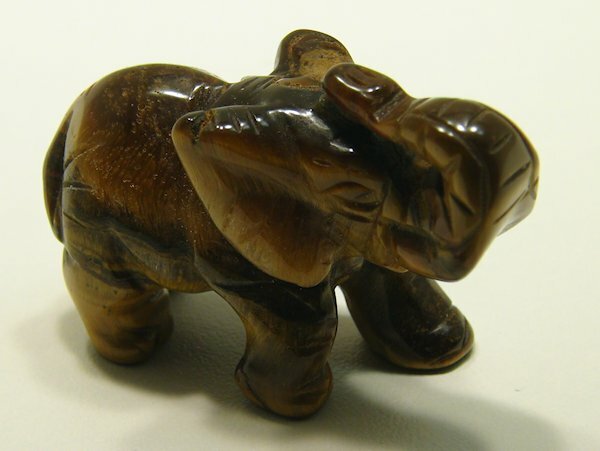 If the stone is blue-grey or bluish, it's colored by crocidolite, and is known as hawk's-eye. 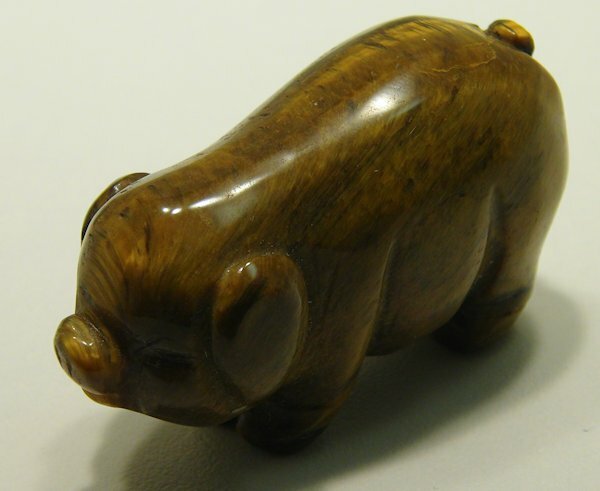 A darker brown, or mahogany-colored stone is known as bull's-eye or ox-eye. 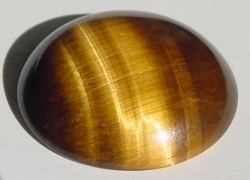 Tiger's eye is not enhanced. 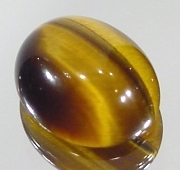 Tiger's Eye is a member of the Quartz gemstone family. 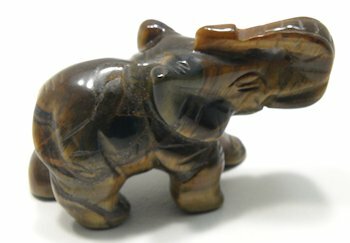 With light golden brown area on one side. AA Good cut, good polish, golden brown, medium dome cab, distinct eye. 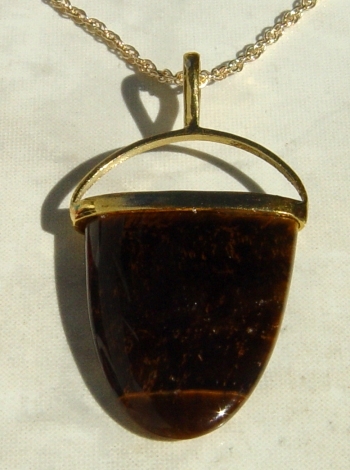 A Good cut, good polish, golden brown, medium dome cab, irregular pattern. Honey Golden "Honey" color, good cut, good polish, medium dome, good eye.